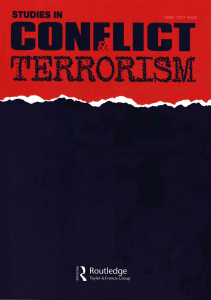 Terrorists from a wide array of ideological influences and organizational structures consider security and risk on a continuous and rational basis. The rationality of terrorism has been long noted of course but studies tended to focus on organizational reasoning behind the strategic turn toward violence. A more recent shift within the literature has examined rational behaviors that underpin the actual tactical commission of a terrorist offense. This article is interested in answering the following questions: What does the cost–benefit decision look like on a single operation? What does the planning process look like? How do terrorists choose between discrete targets? What emotions are felt during the planning and operational phases? What environmental cues are utilized in the decision-making process? Fortunately, much insight is available from the wider criminological literature where studies often provide offender-oriented accounts of the crime commission process. We hypothesize similar factors take place in terrorist decision making and search for evidence within a body of terrorist autobiographies.